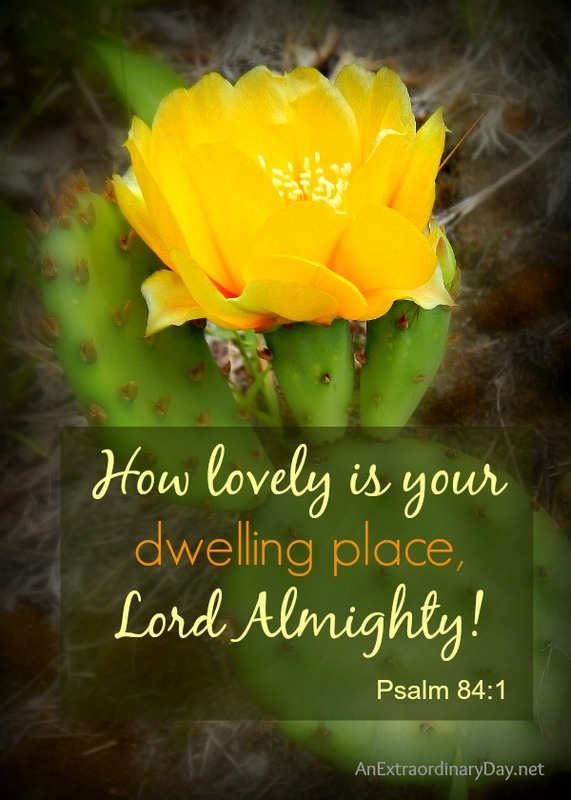 I Love His Dwelling Place | Joy Day! This week I went exploring in a new neighborhood. The area is rural and wooded. And overflowing with poison ivy. Here it mingles with wildflowers and joins the multitude of leaves to make a magical tapestry of greens. As I walk the roadside I’m continually noticing the beauty and stopping to take snapshots of the lovely wildflowers. When I need to clear my head and get refreshed or gain a new perspective a nature walk is the best prescription. I experience God by reading his word and by reveling in his creation. God’s Word is living and powerful. It helps me know more about God, gives me wisdom, and guides me in living a life pleasing to God. When I go for a nature walk….which is pretty much any outdoor walk that isn’t in the heart of a concrete city…my spirit gets fed by God’s beauty reflected in nature, and his creativity. It’s like a salve for a wound. And maybe because I am wounded, it’s the place where my wounds are minimized. They don’t cease being real. But, they hurt much less. A long time ago I chose to follow Jesus/God and I know his spirit resides in me. Yet, when I go for a walk and I get outside the man-made walls, I feel like I enter God’s place. The place that makes me come alive. The place that reflects his beauty and creativity. quiet and peace on a beautiful lake. knowing you have plans for us, plans to prosper us and not harm us, plans to give us a hope and a future. a beautiful day, spending time with my friend, and a country drive to Costco. a white dove flying down the road in front of us, and your protection from the person that blew the stop sign. the email and the realization that the battle has intensified. photos of Poppy, Lily, and Taylor and our last time together. a phone that doesn’t work. p.s. 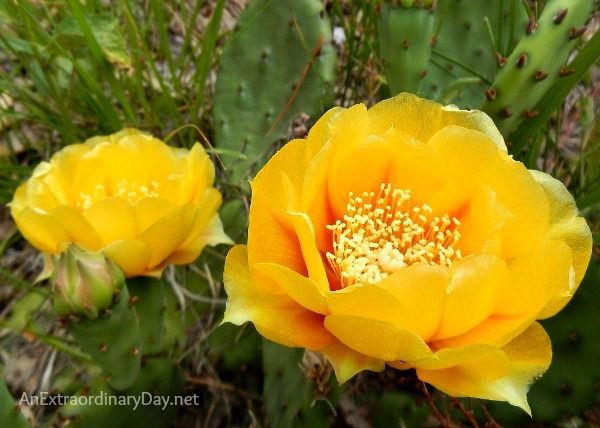 Photos are prickly pear cactus I discovered on the hillside of the nearby county park….totally unexpected. 3. non-strained communication with siblings. 4. the three blessings over which I have stewardship in this life. 7. 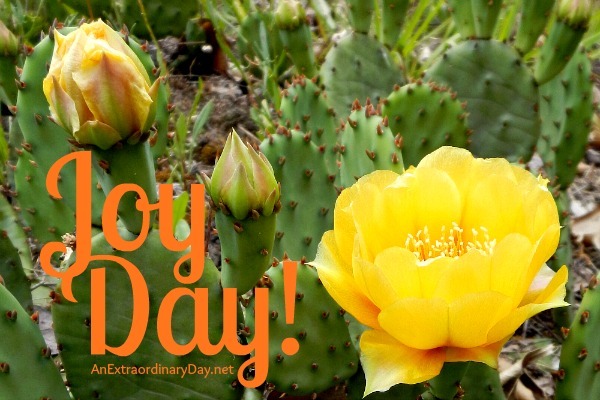 An Extraordinary Day – where I get a gentle weekly reminder to express my gratitude and joy! My sweet friend…thank you for sharing your seven with your joyful heart. This time of year…juicy strawberries would make my heart sing too. Wondering if you’ve enjoy “tea” with your little one? 1. The Beautiful, slower paced days of Summer! 2. For Charles Stanley’s wisdom and teachings!! 3. For Summer employment and the beautiful piney woods and lake setting that it sits on! 4. The “nature walks’ my little Summer Campers and I take each morning through the pines and by the Lake searching for turtles, toads, snakes, birds, hopes of catching a glimpse of our resident otters and the Tadpoles”Polywogs” that we discovered in the fountain of the courtyard!! 5. For the Pelican we saw on our little lake! Inland lake sitings are rare! but Pelican’s have a special significance for me. 6. Cold , sweet juicy watermelon! 7. 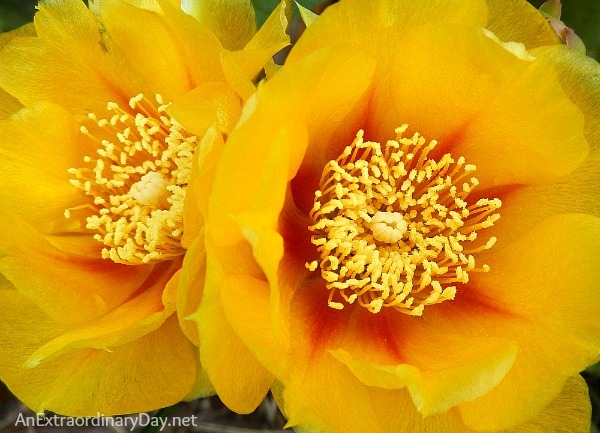 The promise of Jeremiah 29:11…..
Debbi, I love how God gifts us with special ‘nature’ sightings. Thanks for sharing your ‘seven.’ Rejoicing with you at God’s goodness in your life. 1. His continued healing of my heart. 2. The friend who shared a similar experience I’d not known of until recently. 3. Prayer with dear friends. 4. His revelation of powerful prayers against evil. 5. Patience of others, friends and family. 6. The refreshed relationship with an extended family member. 7. Several examples of others who follow Him faithfully and pray for us often. I continue to pray that God will soon lead you and Tim to the perfect employment he has for your family. He is our Perfect Provider! We might not have chosen our paths…but through it we have both learn He IS enough. Yes? 7) always being with me! Rhonda…thank you for stopping by and taking time to share your “seven.” I rejoice with you at God’s goodness, beauty, and blessing in your life! –coming here….even if I’m a late participant. –pausing and buying time when angry, lonely or tired. Grateful I was taught to do that. –a phone call from a gal I worked with…who celebrated 24 years of being clean and sober last week. –rain that spoiled me adventure….well, not just rain….one angry storm front with60mph winds. –the new flat screen that doesn’t fit in the armoire….and the armoire that now resides in my coffee nook. 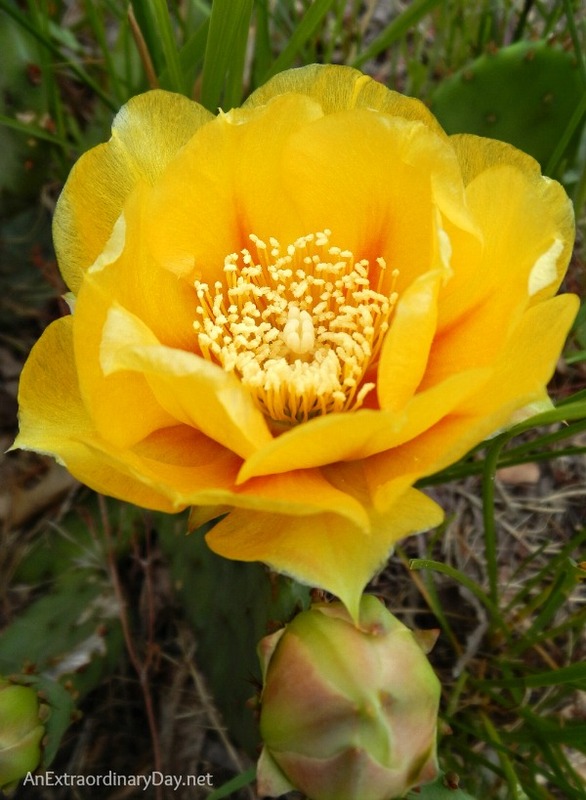 Thanks too, for sharing your joys….I love your heart of gratitude.